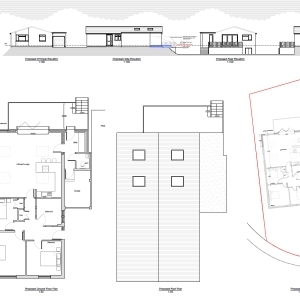 Borough of Poole: Pure Town Planning are pleased to share that we have recently secured planning permission for alterations, extensions to the residential dwelling including rear terrace at Potters Way in Poole. We worked closely with architects Design and Development Associates and tree consultants Scott Tree Services to prepare a scheme which both protected neighbouring amenity and the protected trees located in close proximity to the site. We prepared a thorough supporting Design, Access and Planning Statement which set out the merits of the proposal in a clear and concise manner, whilst making it clear that the development would not cause overlooking or harm to trees. If you are considering extending or altering your property and would like some planning advice why not call Pure Town Planning on 01202 585524 or email info@puretownplanning.co.uk for a FREE 30 minute consultation on how we can help you.